If you signed up for the Creative Jumpstart newsletter (read all about it in my December 20th post), then you know my technique video played today! I hope you’ve been watching all the videos. If you haven’t signed up for the newsletter yet, you’re really missing out on some great FREE techniques this month! You can sign up HERE, and you’ll receive links to all the videos shown so far. 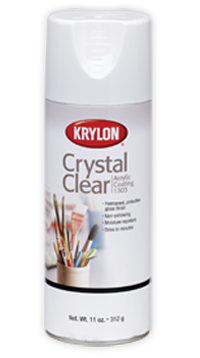 In my Creative Jumpstart video, I told you how to use Krylon Crystal Clear spray three different ways. 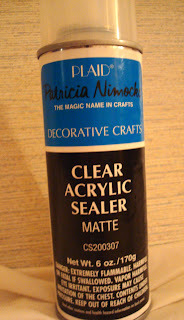 The first way I use it is to seal my inkjet printed images for use in my art and furniture projects. In the video, I demoed the other two ways I use this product. I transferred toner based colored images (you can do black and white as well) to muslin fabric and air dry clay. Here are pictures showing how I incorporated those fabric and clay pieces into my art projects. The first two projects are the ones I’m giving away. 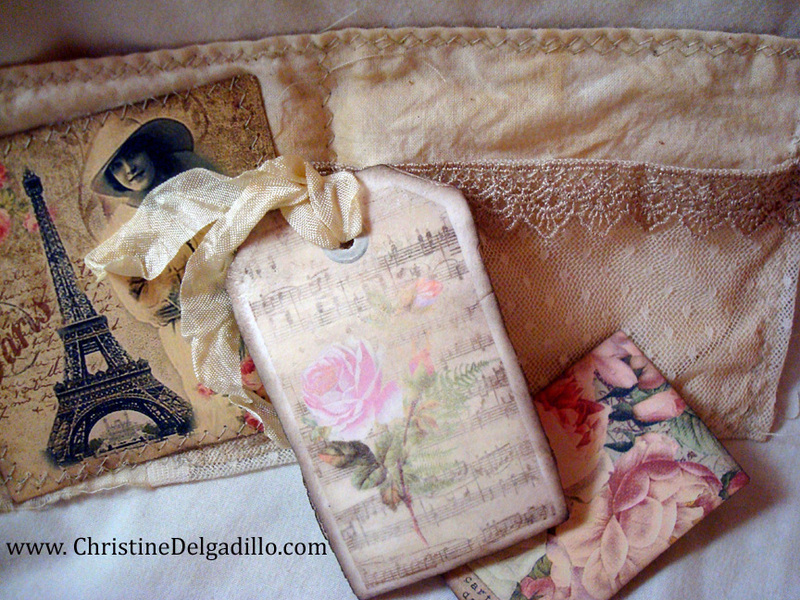 Two of the clay shaped tags became the front and back covers of a mini tag book. I hand cut pattern paper to fit inside and used my crop-a-dile to punch a tag hole in the clay. I love these round ribbon sliders that I purchased from The Piece by Piece-- they went great with all three of my projects. 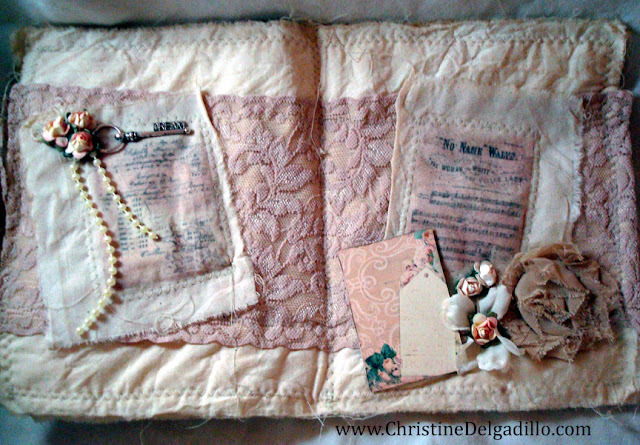 This tag book is one of the two projects I’m giving away. For the above project, I used a little Fabri-tac glue on three sides of the clay tag and turned it into a pocket for the cover of this little fabric “booklet.” I think it would make a great little card to send birthday wishes to someone and there's even room to stick in a little gift card into the pocket, if you'd like. This little fabric booklet is part of the giveaway as well. Here's an opened view of the booklet. I used some lace from my stash along with some French Guipure trim to form the top of the see-thru pocket. I tucked another clay tag in the pocket. You could hand write a birthday message on the back of that clay tag before tucking it into the pocket! Very fun! And here's a view of the back of the booklet. It's a piece of lace that was previously very white but I coffee stained it and now it looks much better! 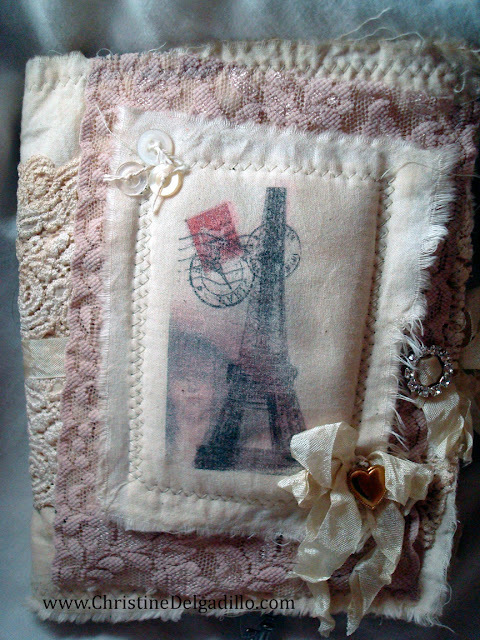 Next are pictures of my last project using some of the images transferred onto fabric. 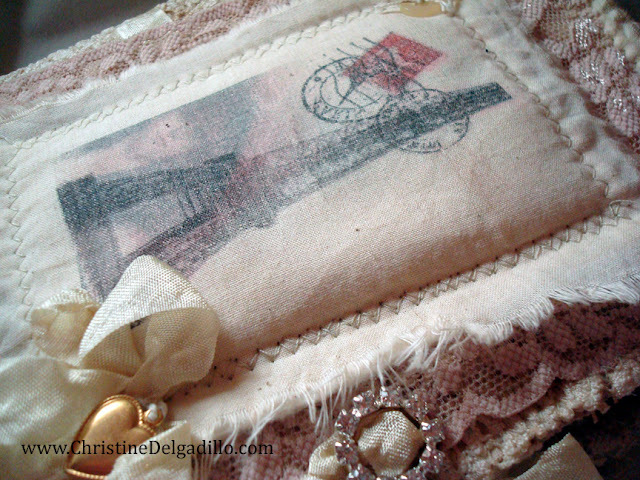 The first transferred fabric image was used for the cover of my fabric album. Imagine doing an album like this using pictures of family members. 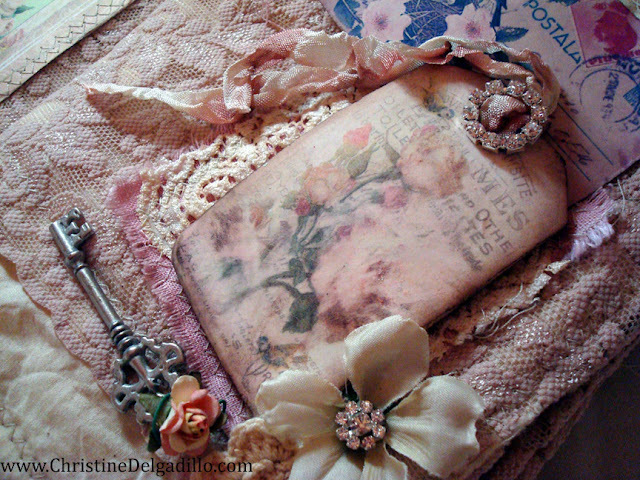 Maybe a newborn baby album, a wedding album, or an album with vintage pictures of your mother or grandmother. This fabric album isn’t part of the giveaway. I have more things I want to add to it! 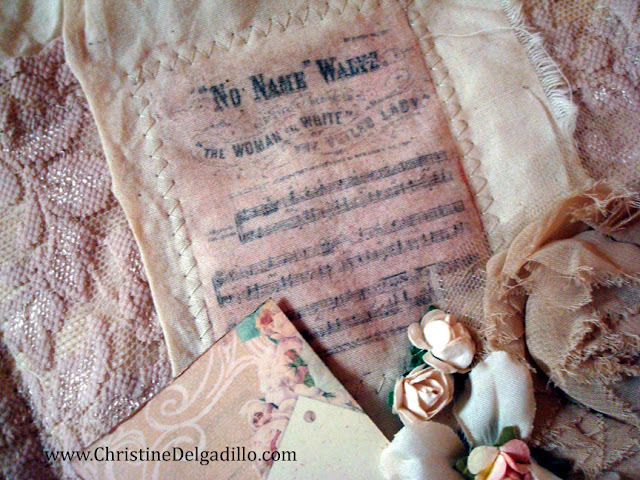 A close-up of the clay tags used as page elements in the fabric book. 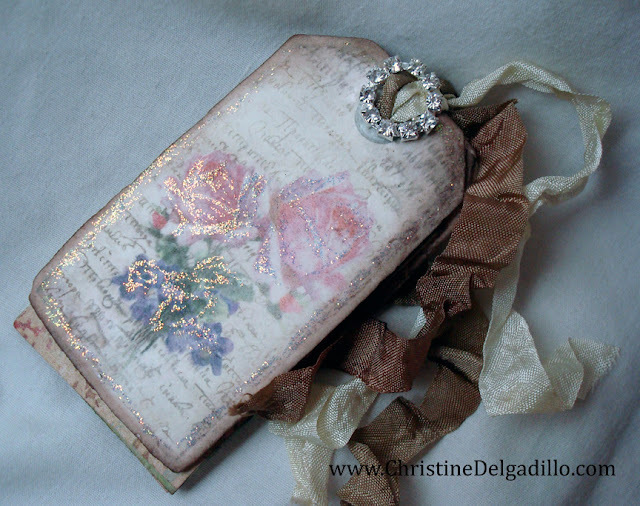 This clay tag is one of my favorites! Another set of inside pages. 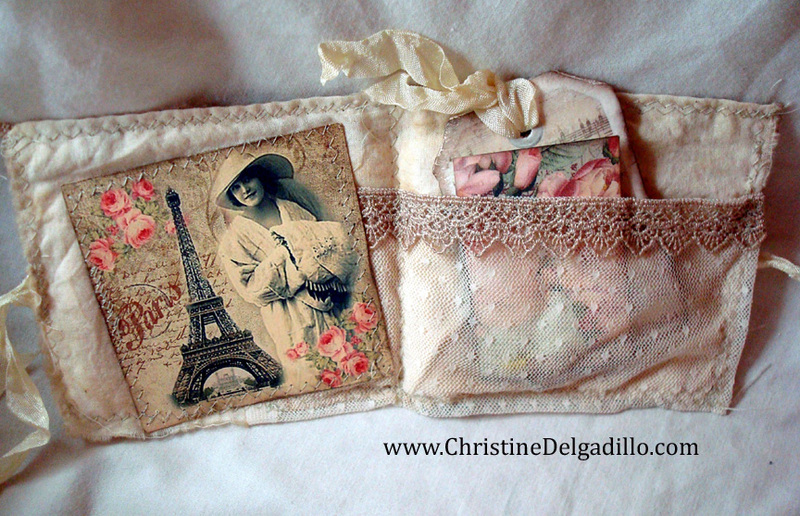 The transferred fabric images also make great background mats. Here are some close-ups of the fabric pieces. Even with script and numbers, I think the transfer came out great! A little additional information: I purchased the Krylon Crystal Clear spray at a local craft store. After I submitted my Creative Jumpstart video, I discovered that Krylon products are only distributed in the U.S. and Canada. 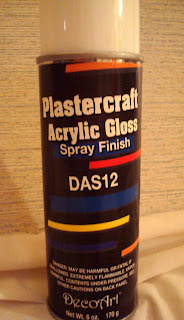 If you are an international Creative Jumpstart viewer, or if you have trouble finding Krylon Crystal Clear, I wanted to let you know that I tested two other acrylic sealers using this same technique. 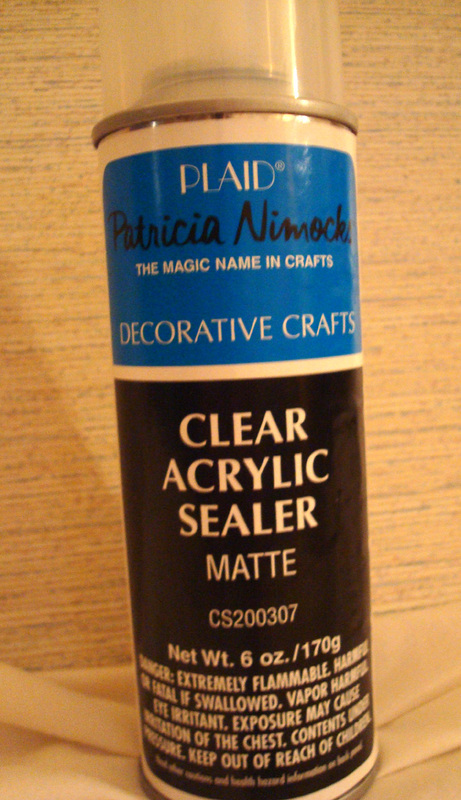 I got the same image transfer results using these two acrylic sealers made by Deco Art and by Plaid. Both of these companies distribute internationally. Here’s another update after waking up to all of your wonderful comments! (thank you-thank you! ): Toner based copies means the images are made from a laser jet printer OR a photocopy machine. 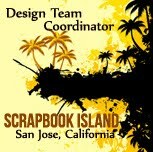 I don’t own either of those machines, so I fill a page with images using Photoshop (or you can fill a page with images using Word, or even cut and paste images onto a page to fill that page up with images!) and then head to my local UPS store and get copies for 39 cents a page! No special paper needed –just the paper that normally comes out of those machines. That’s the cheapest price for color copies I have found locally. If you only have one page to copy, then just print it out in color (or black and white) on your home inkjet printer and then get it photocopied. If you have lots of pages you want to copy and your printer is out of ink like mine was, then transfer those imaged-filled pages to a USB jump drive and use the store’s computer. They charged me an extra $2 to use their computer but it was worth it! 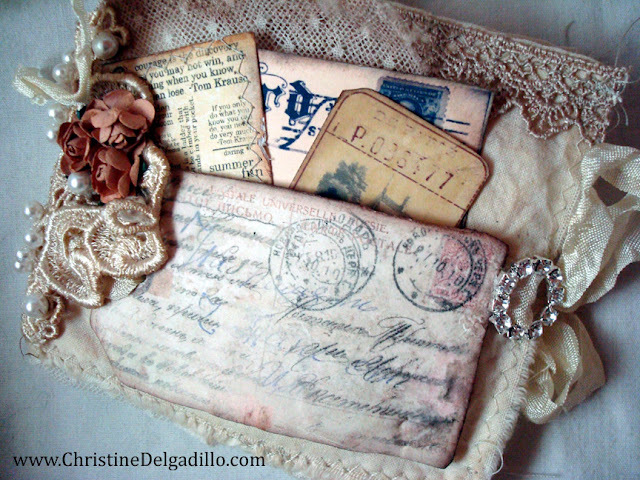 The images I used on the fabric samples and the tag shaped images on the clay samples were purchased from boxesbybrkr on Etsy. But, of course, you can also get lots of FREE images from The Graphics Fairy! 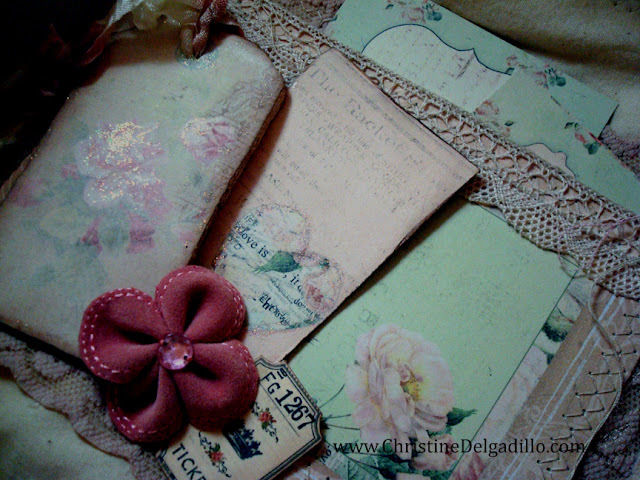 AND this little fabric "booklet". 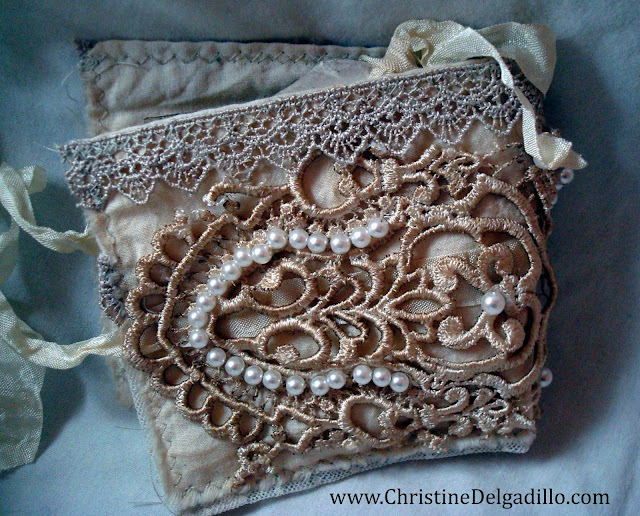 The giveaway will close on Friday, February 1, 2013, at midnight PST. I’ll announce the ONE lucky winner on Saturday, February 2nd that will receive both of these projects. Good luck! Tomorrow is the first day the showroom floor will be open at the Craft and Hobby Association (CHA), so I'll be posting pictures of the projects I did for the Tattered Angels booth using their new paint system kits! First, a BIG THANK YOU for all the wonderful comments to yesterday's blog post about my Creative Jumpstart projects! 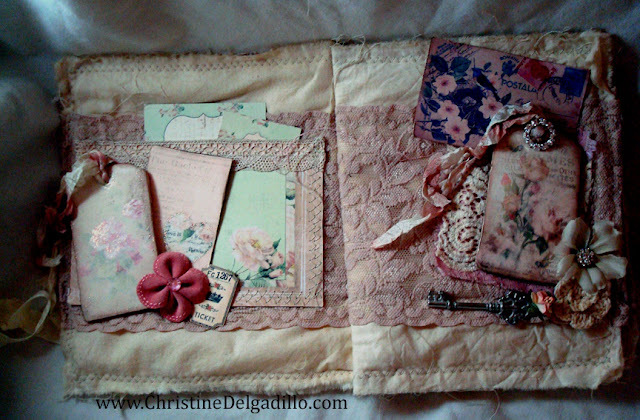 If you'd like to enter the drawing for two of yesterday's projects, remember to leave a comment on yesterday's post. (And on this blog post too if you'd like!) . HERE is the link to that post in case you got here from Facebook. Remember, you have until midnight, February 1st to enter! Today is the first day the CHA showroom floor is open, so I’m posting three projects I did for the Tattered Angels’ booth. 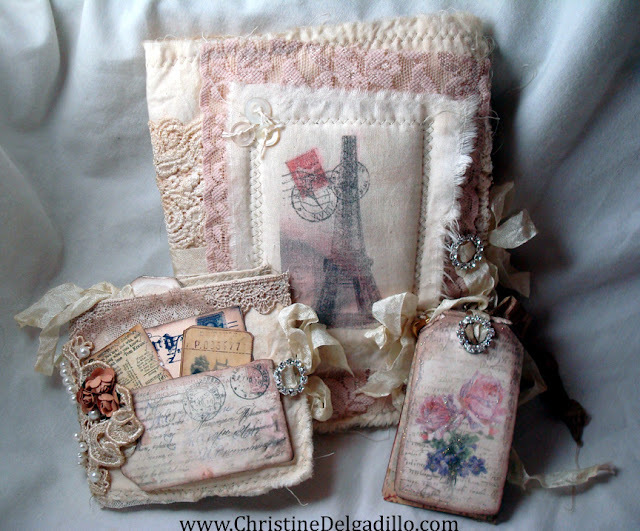 When I delivered my projects to the Tattered Angels booth, I was excited to see some of the new product! But, I was even more excited to see the packaging on two of Tattered Angels Bare Metal Paint Systems! Excited about packaging?! 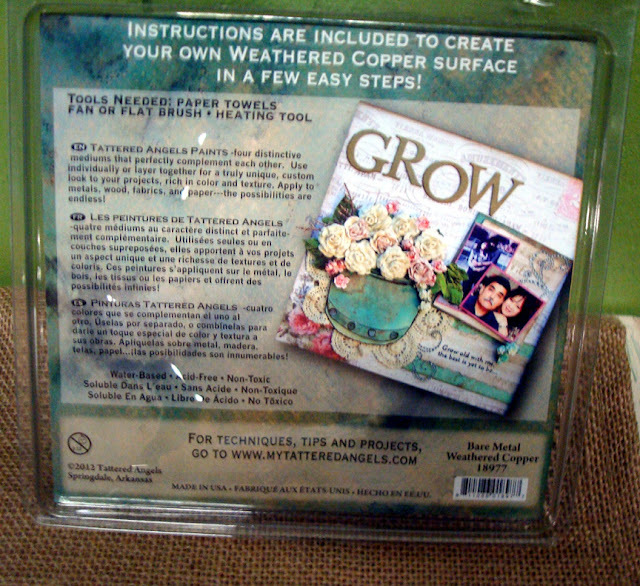 Strange, I know, but I’m excited because these first two layouts that I’m showing you today are on the back of the Tattered Angels packaging! 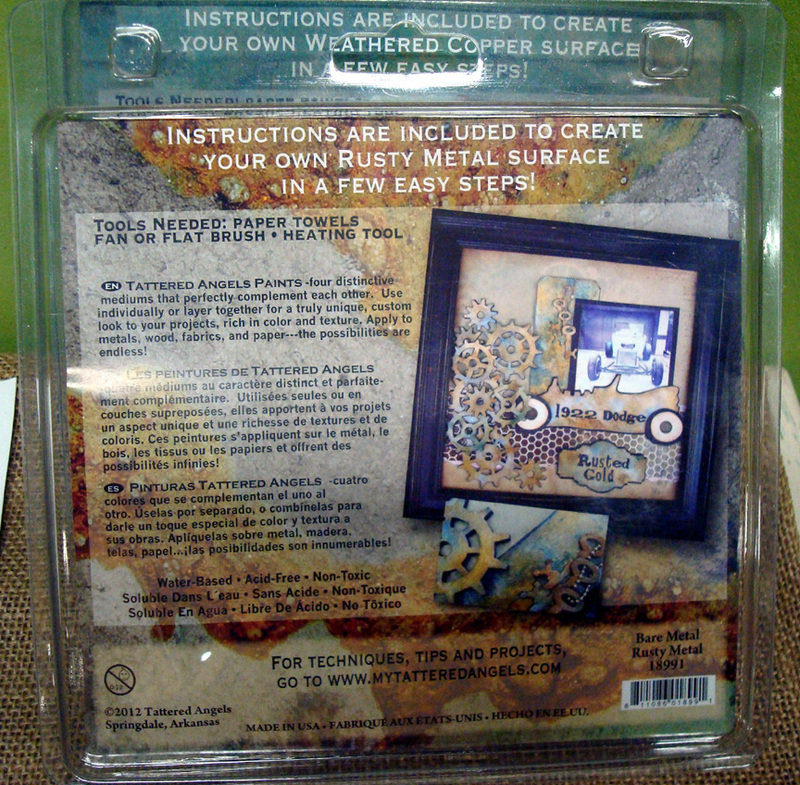 This first layout uses the Bare Metal Paint System—Rusty Metal. The old car that my husband was going to fix up was definitely rusty, so it was perfect for doing a Rusty Metal layout. Below is a photo of the 12x12 paper after I applied the Rusty Metal paint system to it. I used this page to die cut the gears and keys and hand cut a car. I used these "rusted" tags for the title and the background tag. 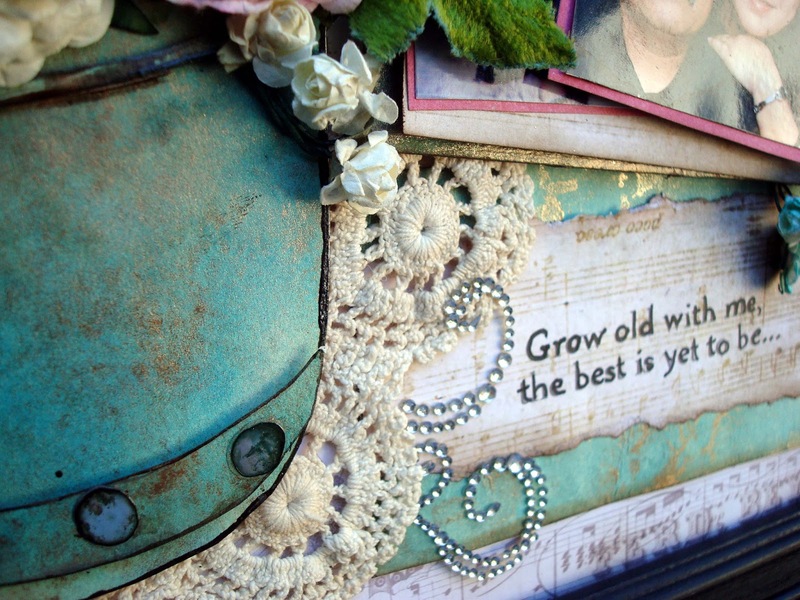 Here are some close-ups – I just love the "rusted" keys and the dimension and layering of the "rusted" gears. And here’s a quick picture I took of the Bare Metal - Rusty Metal packaging I saw in the Tattered Angels booth! I was to do a layout using the Weathered Copper system in a realistic way. Other than the Statute of Liberty, the only thing I could think of making in weathered copper was a planter. Funny thing is, if you knew me well, you’d know I wouldn’t have a photo of a living plant to put on that layout. And, putting a photo of a plant I’ve killed would just take away from the beauty of the weathered copper planter! Then I had an “aha” moment. Our 30th wedding anniversary was coming up so I used our very first picture of us together from 32 years ago, and a recent picture where HE is gray (luckily, I’m not gray…yet!) and used the “Grow old with me…” quote. Here’s a close up of the Weathered Copper planter. 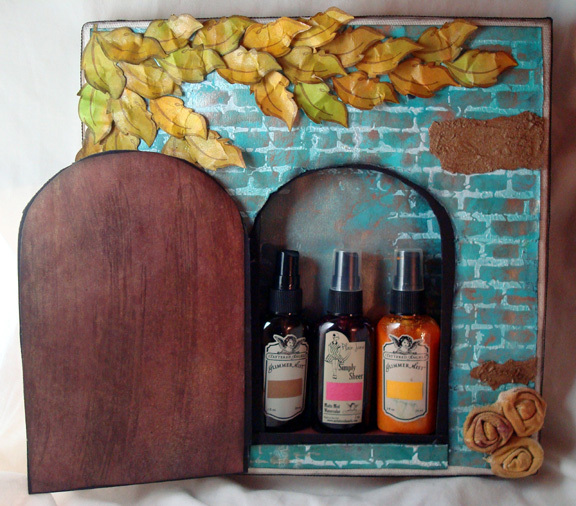 I did a tutorial on using the Weathered Copper Paint System to do this layout. 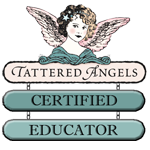 You can find my tutorial on the Tattered Angels Educator blog HERE. And look! Here’s the packaging for the Bare Metal System – Weathered Copper! For my last project, we were to decorate a 12x12 canvas by Canvas Corp that we would hang in a studio. One of the paint systems I received for the project was “Aged Mahogany” so doing something with a door is what first came to mind. And then I thought it would be cool if the door actually opened…and what if I made it so it would hold some Tattered Angels products? I really liked that idea…and when I get this project back, it will also hold a secret stash of chocolate! The canvas can hold six bottles of glimmer mist. I wonder how much chocolate it would hold. And notice those three canvas flowers to the right of the door? 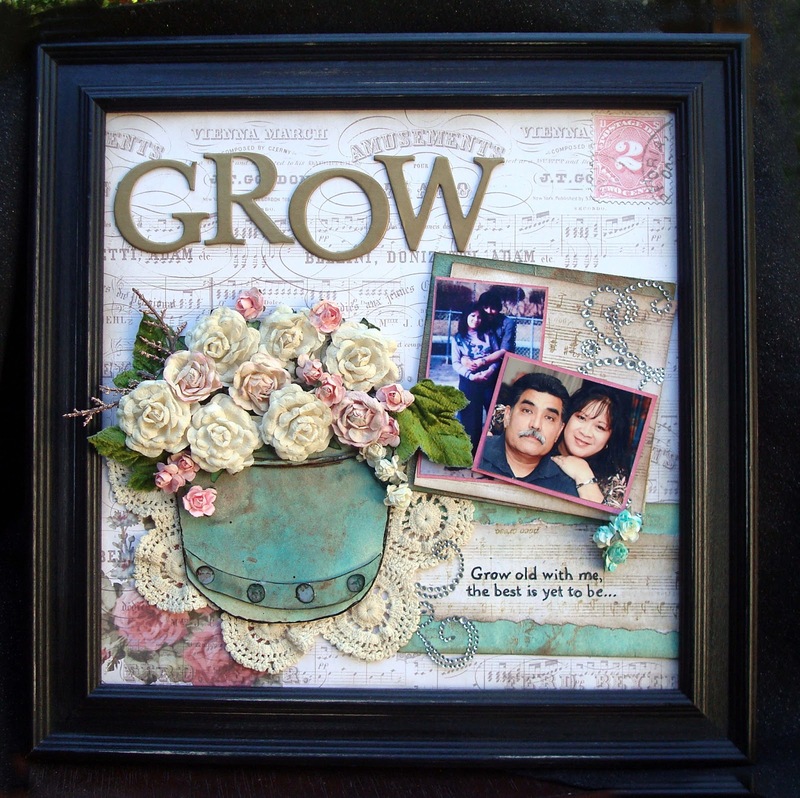 Those flowers were made using Canvas Corp’s mini triangle banners. 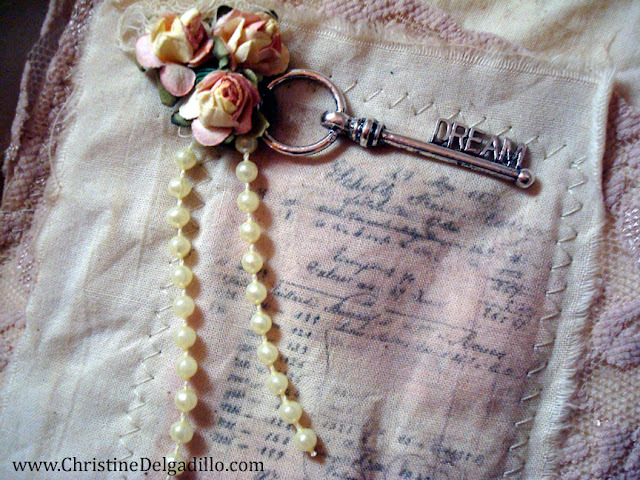 If you’d like to see a previous tutorial I did on the Tattered Angels Educator blog where I demoed how to make those flowers on my "no-sew gift bag", you can find that blog post HERE. And if you really love making fabric flowers, you can watch a YouTube video I did HERE. If you watch the video, you'll see that you can make flowers from other things as well...like napkins! Here are a couple of close-up photos too. 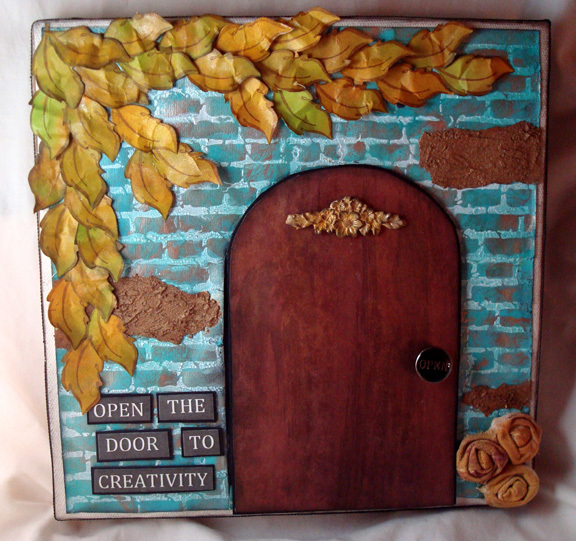 I used the “Turquoise” Natural Stone Paint System for the brick background. Those "patches" near the brick edges were made from Viva Decor Ferro - Umber Gold. 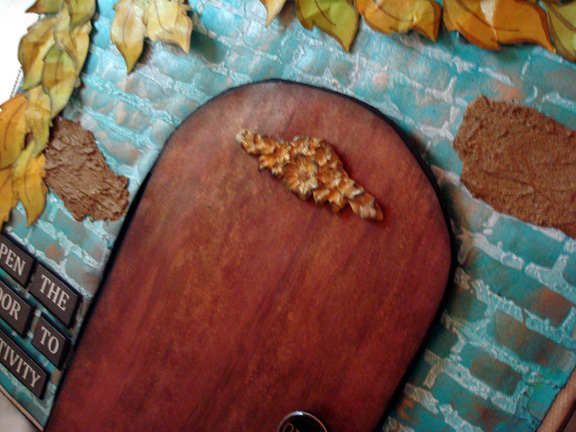 The embellishment on the door is one I made from resin and inked and colored with Glimmer Mist. 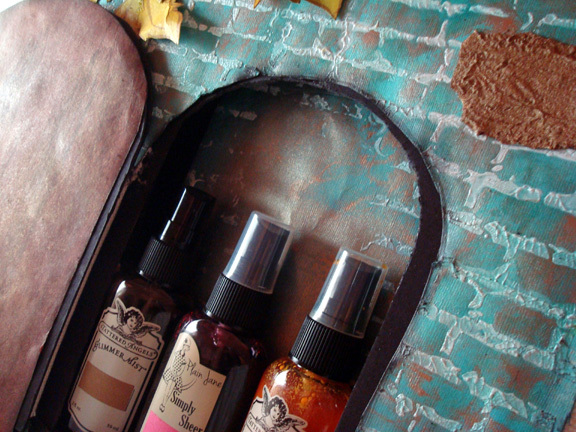 There are some brand new Tattered Angels paint systems coming out, and I can’t wait to try those as well! 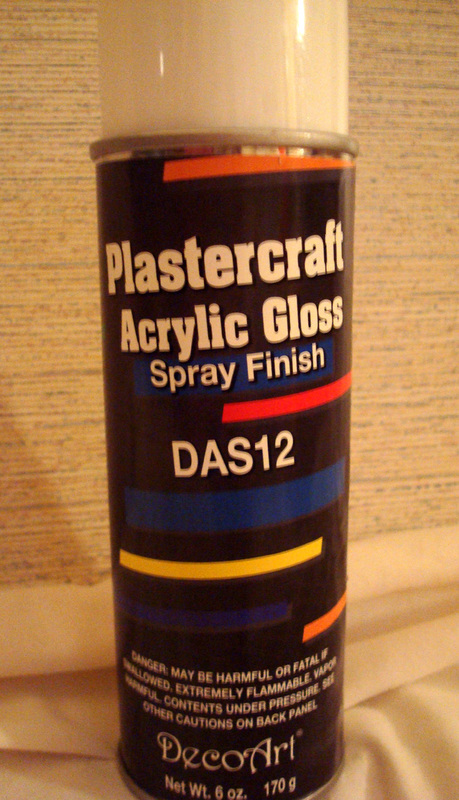 Which of these paint systems do you think you'd try first? Rusty Metal, Weathered Copper, Aged Mahogany or Mahagony? And what would you make from it?